Bowel screening can detect changes in the bowel before cancer develops. It can also detect cancer at an early stage, making it more treatable. 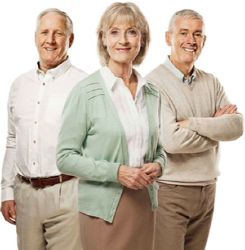 BowelScreen offers a free home test to men and women aged 60 to 69 every two years. The quick and easy to use test is non-invasive and can be done in your own home. If you are aged 60 to 69, check you are on the BowelScreen register here or by calling Freephone 1800 45 45 55. If you are worried about your bowel health, visit your GP, regardless of your age or whether you have taken part in BowelScreen. “I would urge anyone to do the simple BowelScreen test and return immediately - I believe it saved my life because of early detection” - Bernard Wallace, BowelScreen service user.